With the new year upon us, many people have goals to get into better shape. One way to do this is by getting a comprehensive health, fitness, and nutrition assessment. You can spend hundreds of dollars on this at civilian centers, or you can visit the Armed Forces Wellness Center at the Jensen Family Health and Fitness Center. The center can also help you meet the goals of the Army Performance Triad, which is Nutrition, Activity and Sleep to help you gain greater health. To begin your journey, you will need to make an appointment. Before your first appointment, visit the website (see below) and fill out the Health Wellness Tracker Assessment Questionnaire. Your initial appointment will be a Health Assessment Review using your questionnaire to begin the process. At this appointment you will make follow-up appointments to provide assessments and education on health, fitness and nutrition. The Physical Fitness assessment uses advanced technology to see what fitness level you are at and to help you design a fitness program that fits your need. 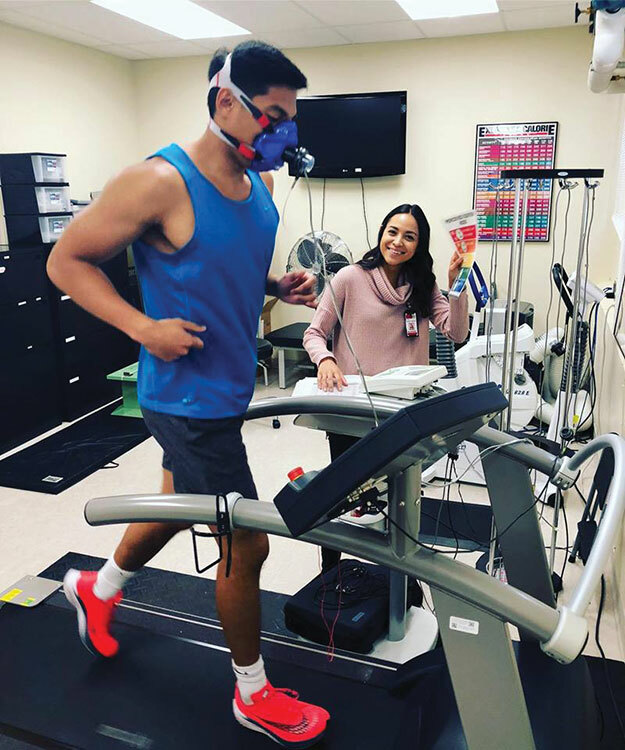 Testing is comprehensive and includes a bike or treadmill test, VO2 testing, as well as strength and flexibility testing. Once testing is complete, you will be able to design a fitness program that meets your needs and helps to improve your weak areas. For weight loss, you need to know where you are starting with your body composition. The gold standard for measuring body composition is the Bod-Pod. This egg-shaped pod will determine your fat-to-lean mass. Another test measures your resting metabolic rate, which can help determine how many calories a day your body burns. You will also have a nutrition class that helps you use the resting metabolic rate to plan your caloric intake and provide strategies to help you lose weight. The nutrition class helps you set up a healthy diet. Stress can be a big issue for many people, and in the long-term can harm your health. The center uses biofeedback to help with stress management. Learn techniques, coping skills and good sleep habits, which can lessen your stress. The center has a high-tech biofeedback chair. You learn to reduce your stress and lower your blood pressure while sitting in a massage chair. There is a video screen which allows you to see how well you are relaxing by slowing your heart rate and having a more relaxed breathing. In addition to all the testing, the center offers a variety of general wellness classes and tobacco education. You can learn everything you need to know to have a healthy lifestyle. So if you are ready to make some wellness changes this year, start out at the Army Wellness Center. They have all the tools you need to lead a healthy lifestyle in the coming year.